Refresh your feet with Weleda’s award winning Foot Balm. Composed of relaxing plant extracts and invigorating essential oils of lavender, rosemary, sweet orange and litsea cubea this non-greasy cream whisks away perspiration so feet stay feeling dry. Packed with soothing and cool natural ingredients, this refreshing balm is the perfect treat for hot, tired or aching feet. Natural antiseptic calendula helps keep bad-smelling bacteria in check, whilst myrrh extract contributes astringent action that helps to protect your skin against blisters. 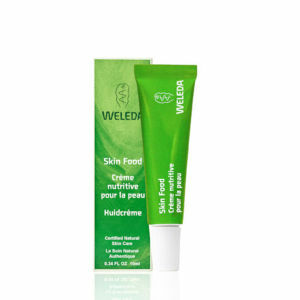 Weleda Foot Balm instantly cools and moisturises and helps nourish dry feet to keep your skin feeling supple and soft. Massage lightly into moist skin. Can be used any time during the day if required.